Free. Legal. And released within a week of the show’s Japan air date. Streaming video is something that I have craved ever since I started watching anime. I always feel guilty about not doing enough to support the industry, even if I do buy more anime than a normal person should. Watching streaming anime gives me a way to offer my support without needing to shell out $30 for 13 episodes. The biggest (legal) services right now are Cunchyroll, Netflix and Hulu. I was prejudiced against Crunchy Roll before writing this review. My impression was that the site built itself by profiting off the hard work of fan sub groups. I don’t know if Crunchy can get rid of its bad image, but it does the next best thing: It works, its cheap and it has the best selection of recent anime. 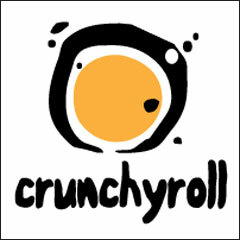 Crunchyroll specializes in simulcasting or airing shows at or near the time of the show’s Japanese release date. It operates both a paid section that has immediate access to the simulcasts and a free section where access is delayed by a week. The streaming quality is fairly good for free shows, coming in at 480p and subscribers get access to ramped up 720p videos. On the downside, the site is glitchy– videos often freeze and I found that I needed to pause frequently to let shows buffer. Plus, the site is ugly. I much preferred the iphone app to the website itself. Hulu has the best looking site of the three and has a much wider selection than I originally expected. I counted a total of 140 different series. Before you get too excited, some of those listings just point to the Crunchyroll website. The selection also changes over time based on the whim of the publishers. Sometimes a series will include only certain episodes instead of the entire season. Like Crunchyroll, Hulu has a paid version and a free version. Both include Hulu’s nicely designed video player. My favorite feature (one I wish Crunchyroll had) is video caching. When you pause an episode, Hulu downloads the rest of the show in the background and gives a video indication of how much is cached or stored on your computer. The paid version also allows you to watch Hulu from an ipod/iphone app. My biggest issue with Hulu, especially the free version, is the ads. I can forgive the free version for its ads, but I think it is unacceptable to include ads in the paid version. How easy is it to get screenshots on these services? I’d use them a lot more if I knew I could high quality ones. I’ve used Netflix for about four years, almost always to get mailed DVDs. They have a good selection of anime, but as you said not everything they say they offer is actually available. It’s most annoying when they are missing individual DVDs in a long series. I’m about to look at Angelic Layer but they don’t have disks 2-4 available (that series, at least, I can stream). Among other things in my “saved” queue, which is where they put the stuff you choose that they don’t actually have at the moment: Evangelion 2.0, Haibane-Renmei, Hidamari Sketch season 1, Macross Plus, Moonlight Mile, sgt Frog, and Summer Wars. The only one I could stream is Macross Plus. In four years I’ve had only one disk make it out of the limbo of “saved.” Netflix has given me years of viewing pleasure but they’ve been dropping the ball recently, as you can see! I can forgive Netflix for Summer Wars (since it hasn’t been released on DVD), but I agree that its strange when they are missing one dvd in the middle of a series. For ROD they have everything except #2… Still, they have one of the broadest streaming libraries of any service and you can really watch it anywhere. Plus for the price its a great value. Ah, I didn’t know Summer Wars wasn’t available on DVD. I just assumed. Thanks for the correction. And I can understand gaps in series. Some of them are old, not available for sale anymore. Disks get damaged. Stuff happens. But there’s too many things Netflix should have which they don’t. On the other hand I feel bad for slamming Netflix. They DO have a lot of stuff. I can’t count the number of anime shows I watched because of them, minor shows like Evangelion (TV), Planetes, Azumanga, Baccano, FLCL … So I want to thank Netflix as much as I want to hate them. They have a whole bunch of Sgt Frog streaming for free on the Funimation website (via Hulu). Crunchyroll wasn’t just selling fansubs: they also sold a ton of licensed material. Some of the very first uploads made to the site were things like Region 1 DVD rips of Evangelion. These guys operated as a for-profit piracy site for years: I know that everybody tells me “the cheaters won, now pay them if you want to support the industry”, but they’re not getting a dime from me. The anime companies decided to deal w/ crunchyroll and by doing so at least implicitly forgave them. But I don’t think a similar peace was made with the fan sub groups. Still, anime options are limited. Unless/until another source (maybe ANN?) rolls out a good, cheap simulcasting solution crunchy is really the only option. I don’t know about the others, but my problem with Hulu is that it doesn’t work in my area (Finland). My other problem, one that affects pretty much all official subs, is the westernization. I don’t know about you, but I find it extremely disturbing when I hear a character saying surname + first name, or perhaps surname + san, but read from the subs either first name + surname or just the first name. When I was in Spain I used my school’s US based VPN to continue to watch Hulu. If you let Hulu cache the video it ends up working pretty smoothly. But you obviously need access to a US VPN to do that. Netflix has a small, very static anime collection, but they do have a few series that I have heard were worth watching that I never got around to seeing. I’m watching Fruits Basket for the first time, and will probably use Netflix to watch Hell Girl, which I have always meant to see. The viewer is pretty good for marathoning a series (it prompts you to see if you want to see the next episode at the end of each episode, and it also prompts you to resume watching from the main screen). And yeah, the new Air looks like a pretty nice device. I know they’re not ‘big,’ but Funimation’s streaming site needs more attention. They were simulcasting noitaminA for a while, but for some reason they haven’t picked up anything new this season(DenYuuDen and Shiki they have ongoing, though). The player is very similar to Hulu’s(sometimes I think they just embed the Hulu video/player on the Funi page, but they also have their own player), but there’s no paid version. Pretty good content selection, especially for their upcoming releases. ANN may have had that fiasco, but they had very detailed video(my eye is untrained for exact definitions) and soft subs. A lot of their regular titles are spillover, but they also have the original Remi anime, and they had 80’s MSG titles up before, too. Alas, they do tend to remove videos after a while. Mostly just ranting because I prefer both to the sites you actually reviewed, heh. I guess I treat the Funimation site as a sub-set of Hulu. Most (if not all) the videos on Funi’s site are listed on Hulu as well, even if some of them just redirect back to Funi. Its easier for me to navigate on Hulu and then get sent to Funi if necessary. I haven’t used ANN much, I’ll have to check them out more. Crunchy wins right now because it has better selection, but ANN has a better reputation so I’d love them to come out on top. Some of Crunchyroll’s archived titles are time limited and are removed sometimes, like some Gundam series last time I checked. Funimation maintains a much larger collection of streaming anime than Hulu, only a few of which are made available on Hulu, but Funi’s video player is not as good and it plays only at a very small resolution. I found ANN’s streaming the ugliest of the bunch, and they also have a problem of listing series that aren’t available anymore. It’s just confusing as heck. Finally, the last major streaming player I know is Anime Network, but I’ve only perused their library once or twice and never watched anything there, so I have no idea of their quality. Still, all in all there’s a wealth of selection available now for people who want to do a little bit of searching. For a guy who remembers having to set the VCR to record anime from Cartoon Network broadcasts, the legal selection now seems as deep as an ocean.